Payroll taxes are confusing to pay if you don’t do it regularly. We often get called in to a new client and find unpaid payroll taxes because someone left, got sick or were just sloppy. Payroll taxes were prepared incorrectly. We have seen penalties for not paying payroll taxes correctly and on time that are greater than the actual tax due. At BudgetEase we use an outside payroll service to process our payroll. Even if you use QuickBooks payroll there is more work than if you used an outside service. I run into individuals all the time who want to do their own taxes. They want to know how taxes are being calculated. Great! Do them, then have a professional double check your work. Sadly, our tax code is challenging. Filing your own taxes is time consuming and you don’t want to under or overpay your taxes. Either way, you want them done right the first time. 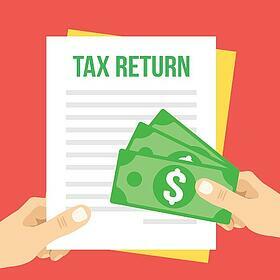 How can you tell if you have a good tax preparer? They contact you right about now, end of October/ beginning of November, to determine your estimated tax liability and discuss tax savings. They are respectful of you and your spending. They provide helpful advice on how to manage your financial information efficiently. Having someone else prepare your taxes doesn’t relieve you of the responsibility of looking over their work. We have found errors on tax returns prepared by accountants. Conclusion: have an expert prepare your taxes and make sure you review their work. We agree: both payroll providers and tax experts are readily available. Having a outsourced bookkeeper do the work saves you time. The fees for these professional services are extremely reasonable. If you consider the cost of doing the work yourself and possibly having to hire someone to fix a mistake and pay the required penalty, their fees are a steal.